I had the good fortune to lead the research and design on this digital transformation project for Amex Global. 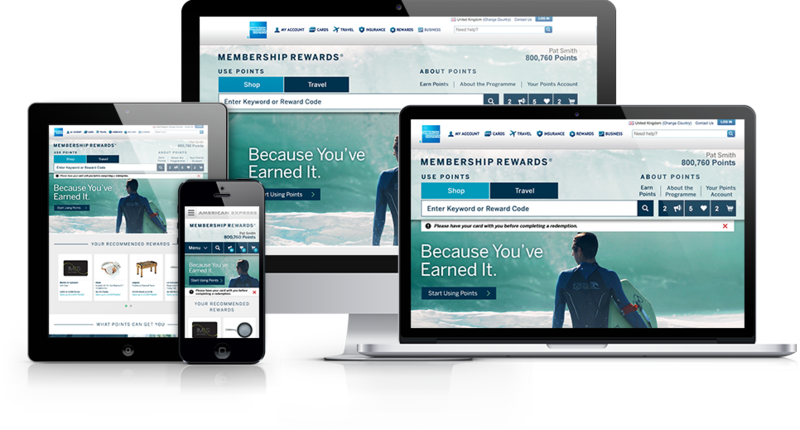 The project encompassed a complete redesign of the Amex Rewards Global redemption platform from the ground up. Identifying objectives from business strategy to informing the design with data driven journeys and user research. It was an an absolute pleasure to be a part of. Amex had laid some ground work by sharing persona intelligence and customer segmentation data. Cross referencing this information with digital analytics we were able to extrapolate the behaviours to identify pain points in the journey and focus on key areas in our research. Armed with customer and business data, we were able to perform stakeholder workshops to understand drivers from a business perspective while referencing customer needs to align on key experiences that would map to real world business objectives. Combining qualitative customer research with quantitative data we were able to facilitate journey mapping workshops which ultimately validated assumptions or revealed completely new insights. These insights were assessed and prioritized and referenced during the design exploration - never losing sight of the strategy along the way. 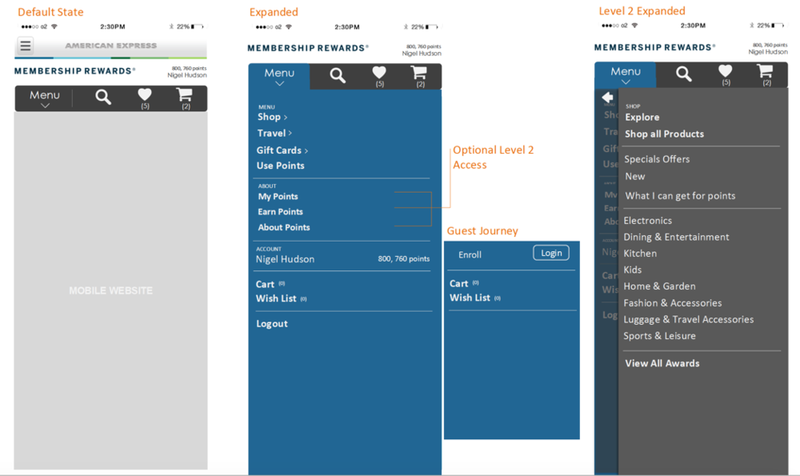 An interaction framework consisting of information architecture assets, experience inventories and user flows were developed to assist in user story writing and experience planning. From this point on the project entered an agile design sprints which consisted of sketching sessions, design workshops, wireframe designs to validate technical considerations and to gain stakeholder alignment. Visual and user experience designers were able to work in tandem to rapidly develop high fidelity Axure prototypes to test key user flows.